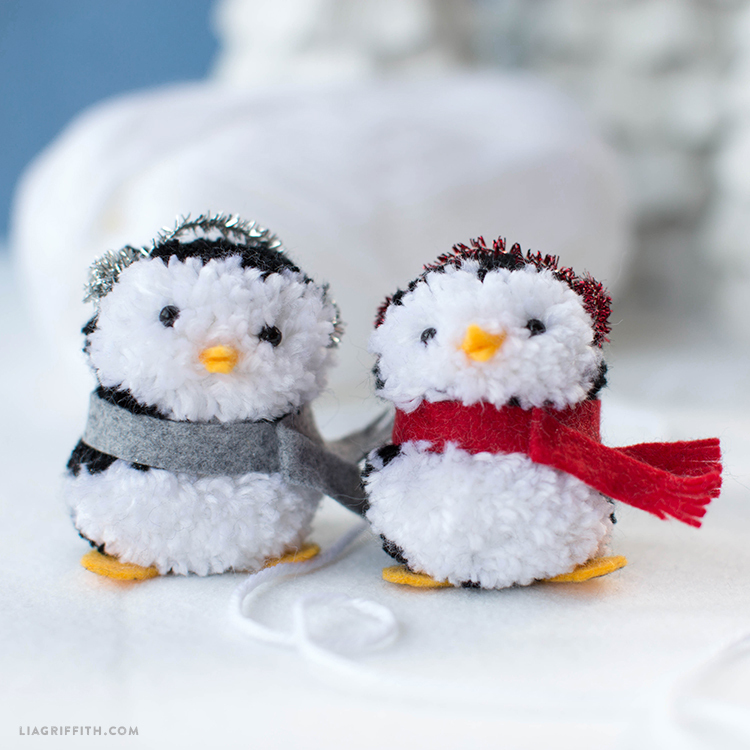 These pom pom penguins are irresistibly adorable! 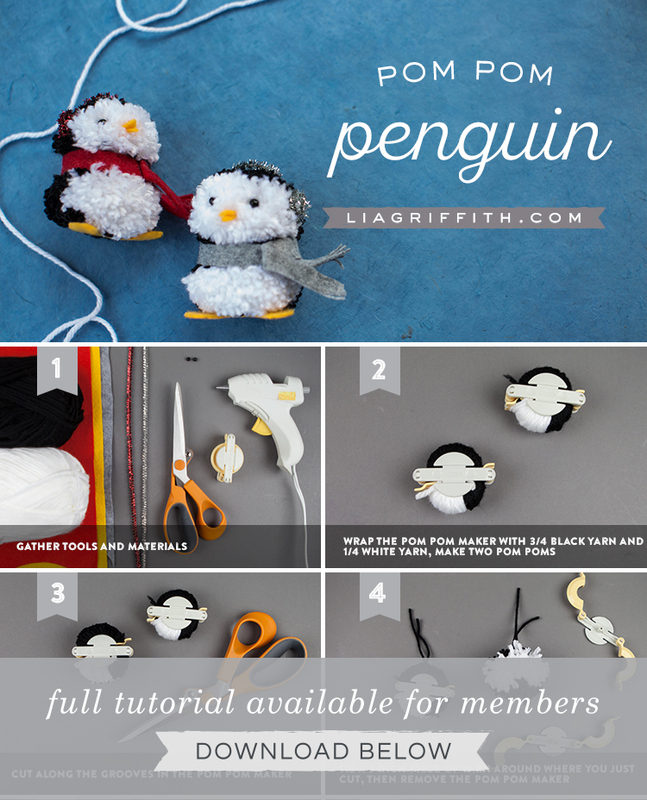 Pom poms are so simple to create… a great project for even the smallest of crafters. Gather the tools and materials listed below, and craft along with our step-by-step photo tutorial. 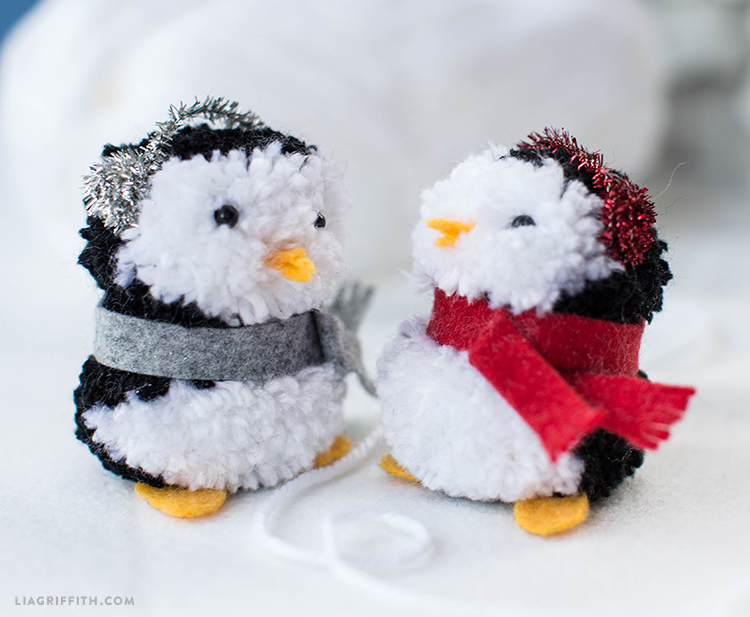 Turn into cute-as-can-be ornaments or gift as toys. 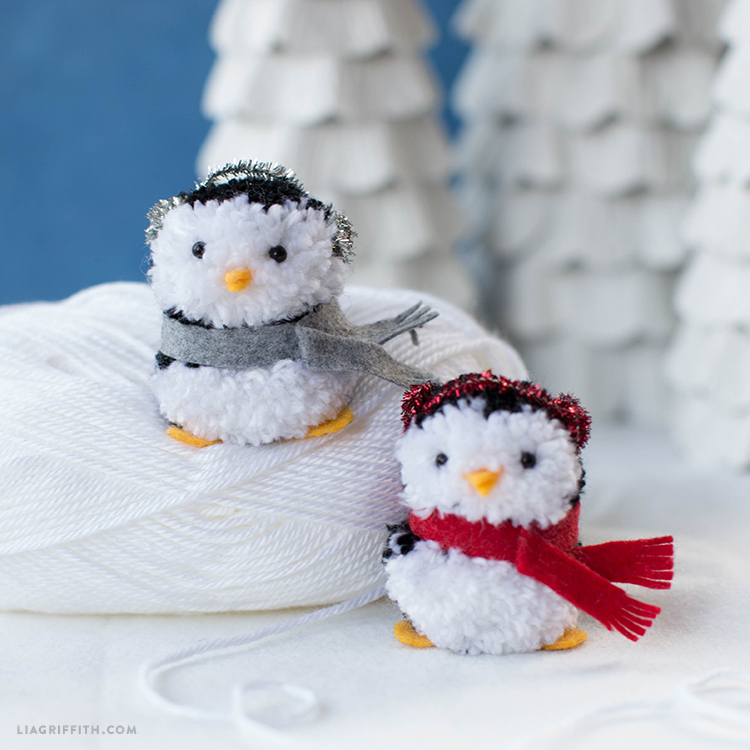 For another pom pom holiday project, check out our pom pom gnomes. 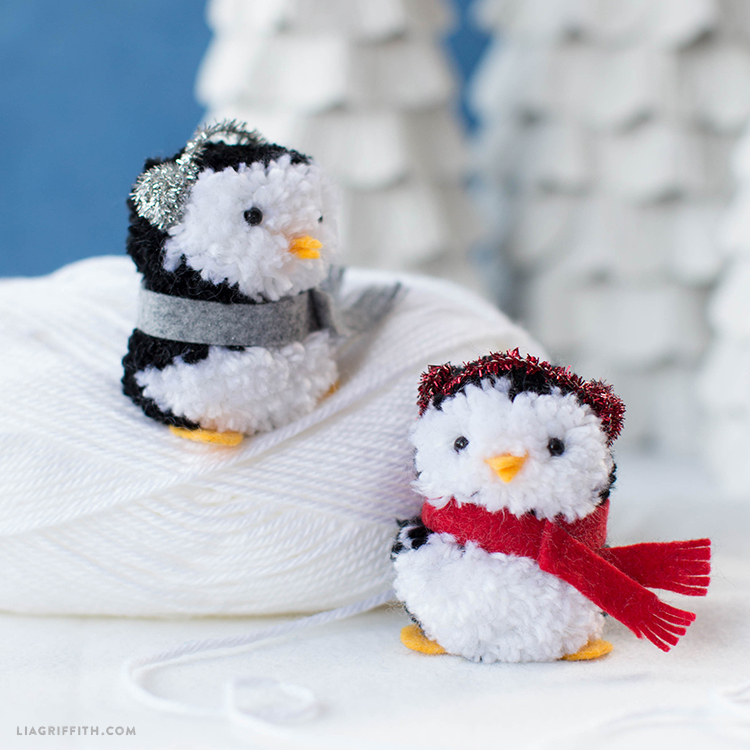 Wrap the pom pom maker with three-quarters black yarn and one-quarter white yarn. Make two pom poms. Tie a five-inch piece of yarn around where you just cut, then remove the pom pom maker. What size are the pompom supposed to be? Could you please clarify that in the directions? My pompom makers come in four sizes: 3.5, 5.5, 7, and 9 cm. I would like to make the size that will best fit the SVG cutting file.